ROYAL firm For Electromechanical Engineering- Consultant Engineers was founded in 1994 by Engineer Na'el Sa’adeh. The firm focused through its work on the mechanical and electrical services for commercial and industrial constructions which includes HVAC, sanitary, fire fighting, lighting, power, low voltage and network. 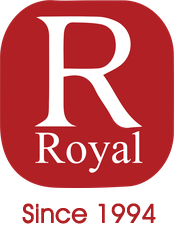 ROYAL cares about each client’s project from start to finish, including everything from completely designed projects to mere concepts.